Replenishment pack for unused spillage kit What's this product for ? 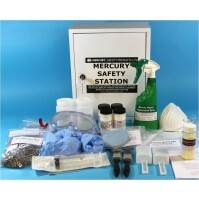 If you have a type HK Mer..
Replenishment pack for used spillage kit What's this product for ? 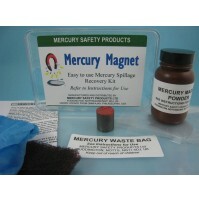 If you have a type HK Mercu..
Brushes x10 Pack of 10 brushes for replenishment or replacement in larger numbers of hospital typ..
Dust Masks x 10 These dust masks are used when mixing the absorbent powders in type HK mercury sp..
Wouldn't it be simple if mercury were magnetic, then you could easily pick up a spillage with a magn..
Mercury Safety Resource CD Intended for use in larger medical institutions and in the dental prac.. 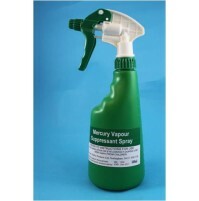 Harmful mercury vapour is released from mercury spillages, broken fluorescent lamps or from industri..
Refill Chemical Packs x10 Bulk pack of 10 chemical refill packs for type HK mercury spillag..
Scoops x 10 Pack of 10 scoops for replenishment or replacement in larger numbers of hospital type..